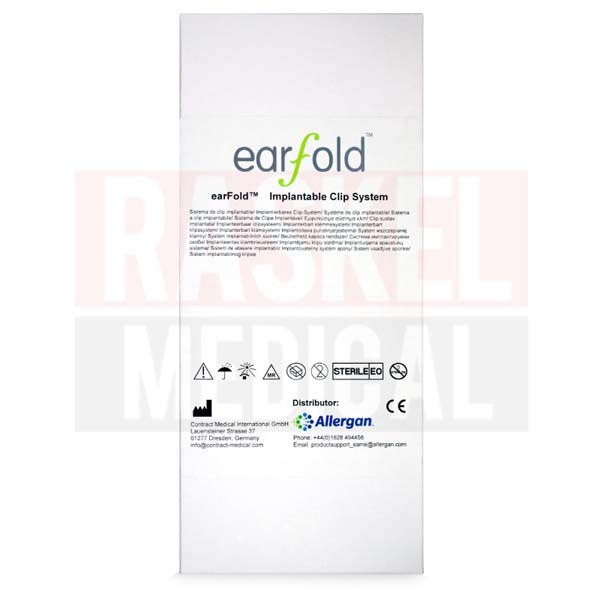 Earfold Implantable Clip System is a minimally-invasive correction device used for correcting prominent ears. The clip is made of medical-grade nickel-titanium alloy, also known as nitinol, and is coated with 24-carat gold to reduce visibility once placed in the ear cartilage. Shape Memory Alloy (SMA) allows the clip to retain its original shape once placed under the skin. The material is non-toxic and highly biocompatible. What is Earfold Implantable Clip System used for? This clip is designed to pin protruding ears back to reduce the appearance of prominent ears. It is a minimally-invasive alternative to otoplasty. Once implanted under the skin, the C-shaped clip will revert back to its original shape and pin the ears into the desired shape. Earfold Implantable Clip System was designed by Dr. Norbert Kang, a consultant plastic surgeon based in Royal Free Hospital, London. The device was acquired by Allergan in 2015. This implantable clip is manufactured in the United Kingdom. The usual side effects include inflammatory responses such as redness, pain, swelling and even fever. Some patients may need to painkillers if pain is intolerable. Patients experiencing long-term pain, discomfort or even keloid scarring may consider removing the implant completely. What condition is it good for? 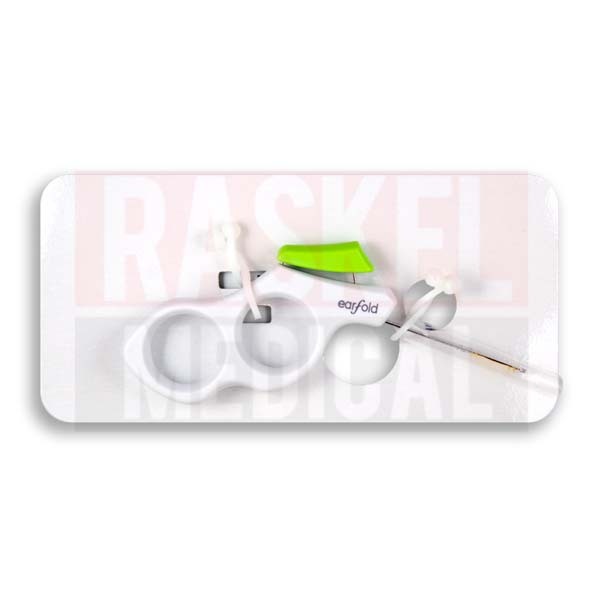 This clip is perfect for correcting protruding ear especially due to poor development of the anti-helical fold. The material used is nitinol. It is highly biocompatible and does not cause adverse reaction once introduced into the human body. The implantable clip is made of medical grade strip of nickel and titanium alloy and is coated with 24-carat gold. The device is very thin (5mm width x 15mm length x 0.15mm thick, weighing 0.068g) and remains undetectable once implanted under the skin. As of now, there is only one minimally-invasive device created to correct protruding ears by the manufacturer. Licensed practitioners should begin the procedure by conducting a thorough medical review. The initial consultation is also the time to explain about the possible outcomes that are both desirable and undesirable. As well, necessary aftercare methods should be described. On the day of treatment, usually the Prefold positioner is attached on the outside of the ear to give a rough idea as to how the ear may look after treatment. Patients can move this temporary clip around until the desired shape is achieved. After marking the position and disinfecting the treatment area, inject adequate local anesthetic and make small incisions in the skin. Insert the Earfold clip under the skin and let the clip fold back to its original shape. Then stitch the incisions with absorbable sutures and keep the area protected with dressing. Earfold Implantable Clip System consists of a C-shaped implant made of alloy of nickel and titanium which is also known as nitinol. It is coated with 24-carat gold to reduce visibility once placed in the ear cartilage. This nickel-titanium alloy is a Shape Memory Alloy (SMA) that has the ability to retain its original pre-set shape after insertion. Not only that, nitinol has a superior safety profile and does not cause a adverse reaction even after a long time in the body. In fact, it is the same material used in other medical equipment like heart stents. The clip is very thin (5mm width x 15mm length x 0.15mm thick, weighing 0.068 g) and is undetectable under the skin. Each box of Earfold Implantable Clip System comes with one Earfold implant, one Earfold introducer as well as one Prefold positioner. Desirable outcomes are noticeable almost instantly following insertion of clip. Prominent ears are pinned back and are held in shape permanently by the implant. Nevertheless, the treatment is also reversible as the implant can be removed and reshaped for better ear shape. Please store this device in a cool and dry place away from direct sunlight. Please refer to the expiry date printed on the package.